Chorus Voices Ep 29: Why Do We Feel Lonely? 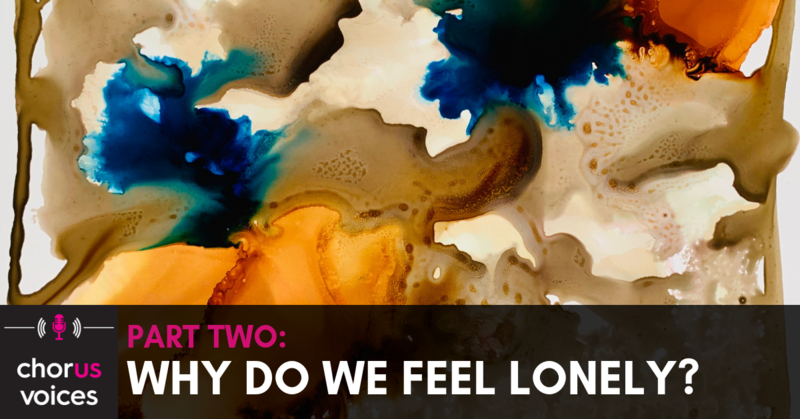 In part two of the series, Lou Forster speaks to three people about their experience of loneliness and the factors that contribute to being lonely. Loneliness is often linked to an event, like the death of a loved one. Or it can stem from other changes in our lives, like employment, health, relationships or living arrangements. Karen’s dad lost his wife and then had a fall when he was aged 92. “He found himself in a back room alone. What we noticed in that time is that dad’s whole demeanour changed,” says Karen. George is a single man in his 50s, has no children and works part-time. He lives with depression. “Status is a pretty big thing as a man; you’re supposed to be a provider. It wipes you out as a prospective ‘friend’ with a woman and it’s just another level of loneliness,” says George. Jessica is 32 and works in the health sector in Perth. Her life has been complicated by chronic health conditions. “If I spend too much energy in a day, I will be in bed for the next two days. I don’t have a social life; I don’t have the energy to go out and socialise or catch up with friends on the weekend,” says Jessica. Tune in next week for the final of our three-part series on loneliness when Chorus Voices looks at what we can do about loneliness. All proceeds go to two different causes. Suzanne buys coloured pencils for children who would like to experiment with art, but do not have the funds to do so. She also contributes to an art therapy project that supports women refugees.